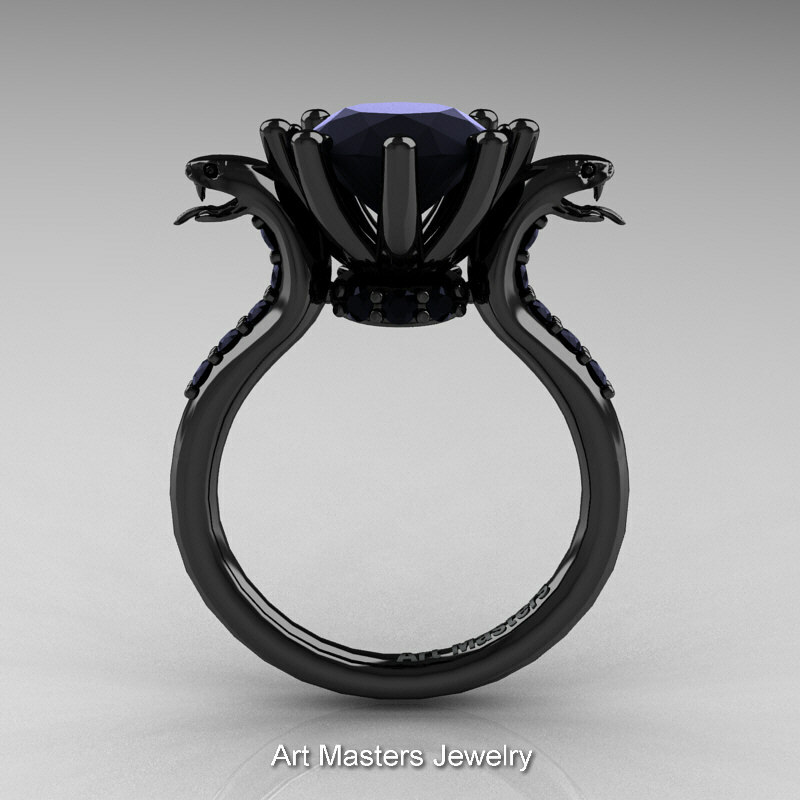 Menacing, Art Masters Cobra 14K Black Gold 3.0 Ct Black Diamond Engagement Ring R602-14KBGBD evokes character and eminence would make this exclusive jewelry piece an outstanding engagement ring. 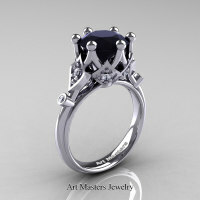 Signature color style first introduce to bridal jewelry category by Art Masters Jewelry. 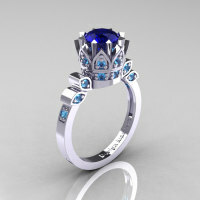 This rings are a designer exclusive high-maintenance jewelry pieces and is not meant for intensive wear. 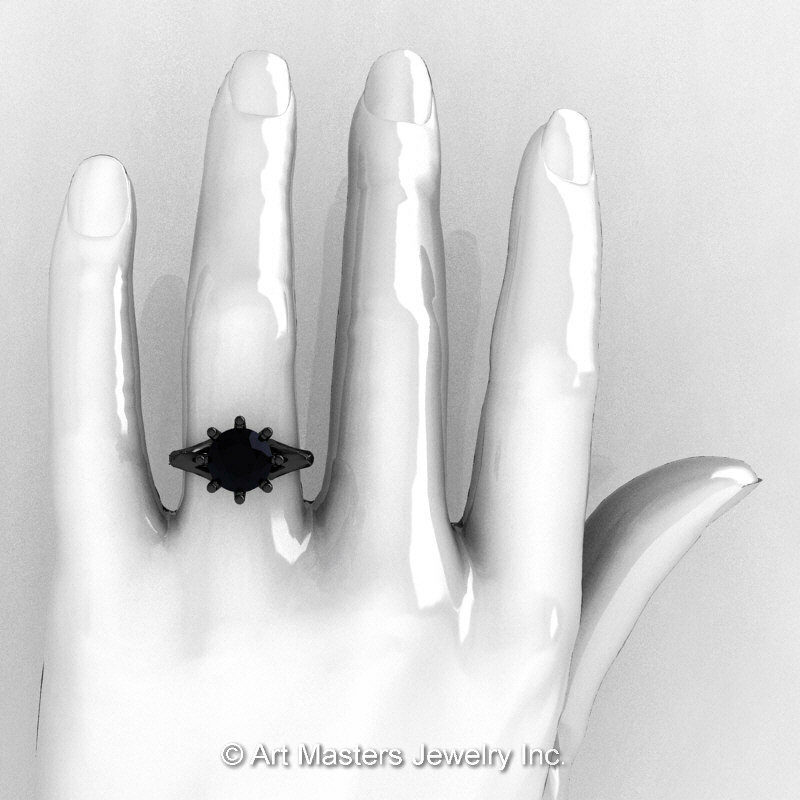 Black gold (black rhodium coated on 14k solid white gold) will wear off in about 3 month to a year of wearing making your ring look exquisite vintage by exposing solid white gold base on the edges and flat surfaces. 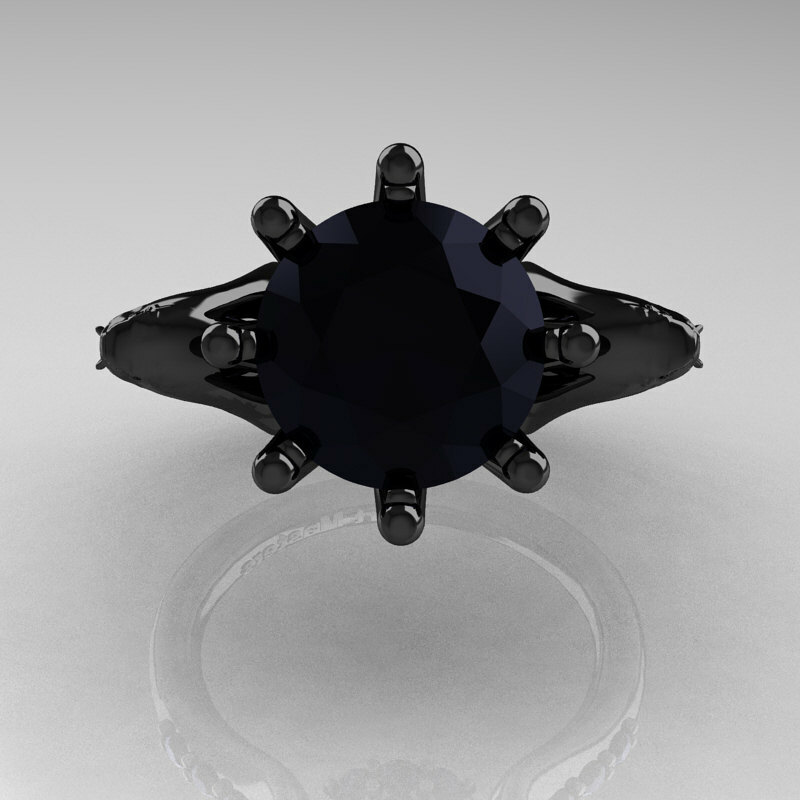 Black rhodium reapplication is not necessary, however if desired, I provide 2 year (2 time) free black rhodium reapplication on all designer black gold rings for customers. 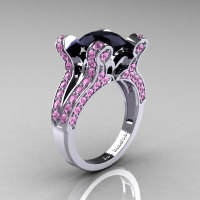 Black rhodium can be reapplied unlimited number of times and it does not alter the piece. 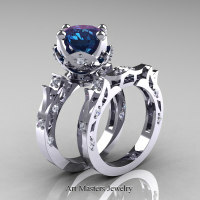 It provides an extra layer of protection for your jewelry piece. 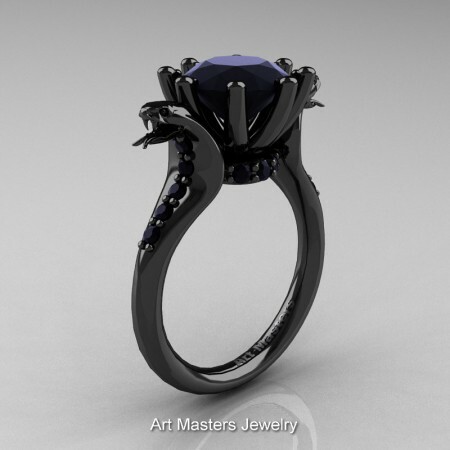 This service is available with select jewelry manufacturers for a fee to maintain black color for your gold jewelry piece. Be the first to review “Art Masters Cobra 14K Black Gold 3.0 Ct Black Diamond Engagement Ring R602-14KBGBD” Click here to cancel reply.